Danielle Smith was selected Saturday as the new leader of Alberta's fledgling Wildrose Alliance Party. Danielle Smith was elected leader of the Wildrose Alliance Party in Edmonton on Saturday. ((CBC))Danielle Smith was selected Saturday as the new leader of Alberta's fledgling Wildrose Alliance Party. Party members from across the province met at a South Edmonton hotel to select a leader to replace interim leader Paul Hinman. Smith, 38, a former broadcaster, beat businessman Mark Dyrholm, the only other candidate. In her victory speech, Smith took a swipe at the governing Progressive Conservative leader. "[Premier] Ed Stelmach, you haven't even begun to imagine what's going to hit you," she said. "We have become a party of winners." The Wildrose Party earned a shot of credibility last month when Hinman, a former MLA under the Alberta Alliance banner, won a byelection in Calgary-Glenmore. It is the party's only seat, but it's one the governing Progressive Conservatives had held for more than 35 years. The Wildrose Party espouses fiscal and social conservatism, and recent polls have it matching or beating the Alberta Liberals as the second most popular party in the province. 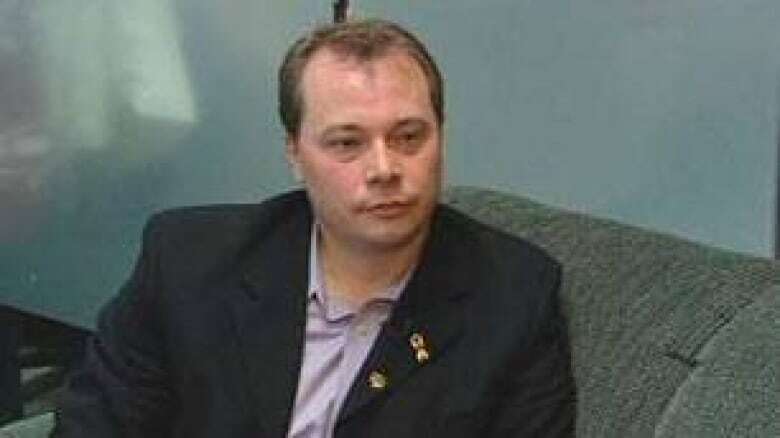 However, Wildrose president Jeff Callaway said there is plenty of work to do. He said the party will now focus on raising money and nominating candidates for the next provincial election. Mark Dyrholm, seen Wednesday, lost the race for the party leadership Saturday. ((CBC))"That's not a small task but I'm also encouraged by the people that are approaching us that want to be candidates." Even though the Tories' popularity appears to be sinking, Callaway said, the governing party has a lot of money and a strong organization throughout the province — and a huge majority in the legislature. "They've got 70 out of 83 seats. That strong institutional base of support — none of that is lightly dismissed by us whatsoever, and so we're under no illusions of the task that's before us."